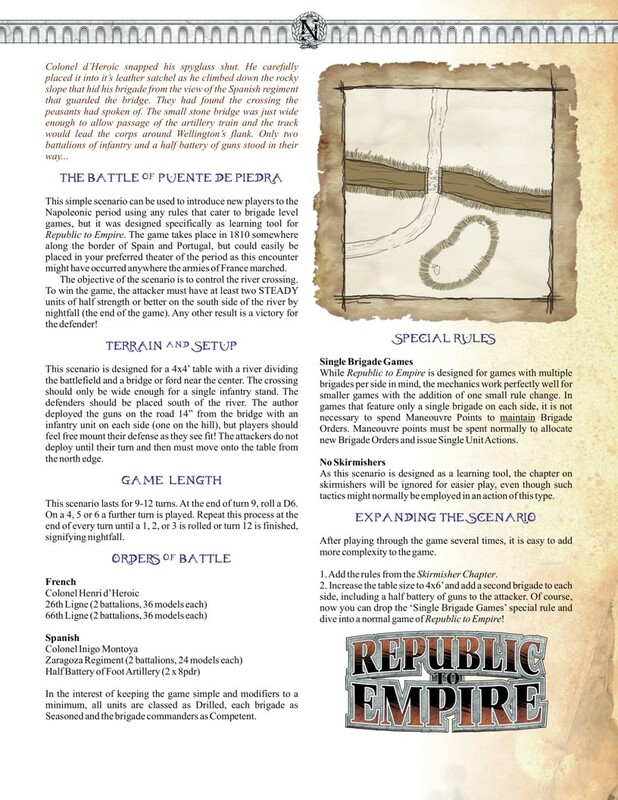 REPUBLIC TO EMPIRE is a Napoleonic rules set by Barry Hilton and partners. The general impression I've gotten from reading forums and blogs is that people think the rules are complicated. The game play is smooth and free flowing with minimal need to refer to the main text once concepts have been mastered. New players usually pick up the key mechanisms within three to four game turns. The difference is that Black Powder is scaleable to fit each scale. I own 28mm but could also use Black Powder on 20, 25, 15, 6 or whatever scale. As not used to play napoleonic warfare I simply downloaded the scenario and adapted it to my needs. 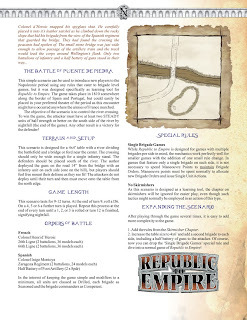 When you follow this blog you might have noticed that I only own british and french troops at present and so I had to leave out the spanish here... but hei, who know what comes next. So highly recommended easy scenario.